NOTE: This module DOES NOT has over-discharge protection. We highly recommend users to use a lipo with protection circuits to prevent over-discharge problem. Over discharging LiPo batteries will lead to permanent damage and the build up of gasses inside. 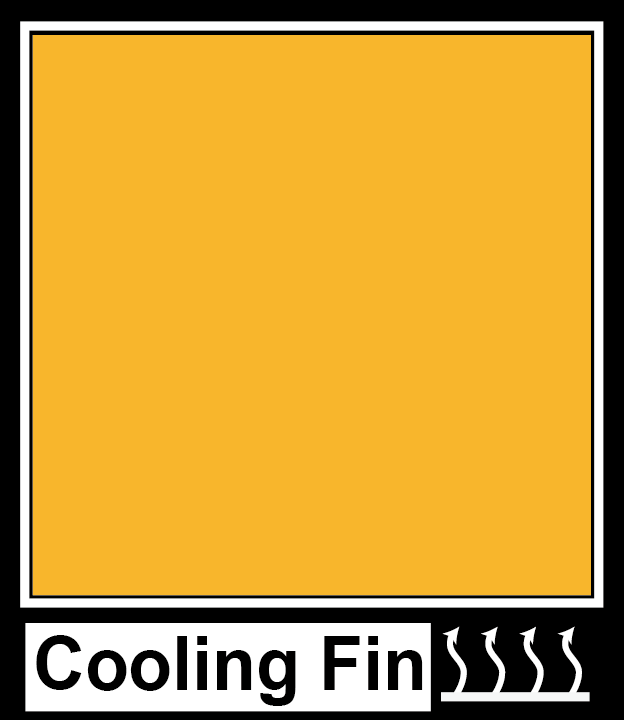 If the battery is then charged, the compounds in the battery become reactive and combustible. This may finally cause the battery to explode or on fire. Inspired by the observation above, the CN3065 solar power management IC (employed by this module) maximizes the output power by keeping the output voltage at the vicinity of VMP, which is also called constant voltage MPPT algorithm. 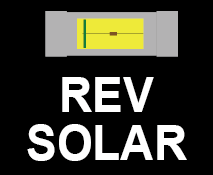 Benefited from this feature, the module has a better conversion efficiency compared to common linear battery charger. Use the USB to charge battery Ultilize the USB charge function, the user can build a USB/solar power bank for outdoor sport application. Charge the battery with solar panel by daytime and USB at night with cell phone charger (if it is available). User can also charge small charge current, low power devices, such as smart band or Bluetooth headset with the USB OUT. 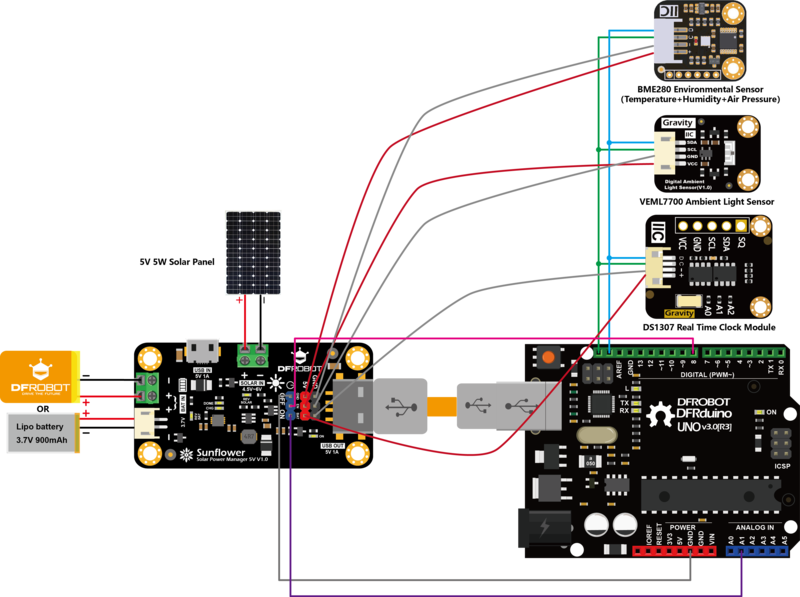 Build a low power environment monitor station This application example use the BME280 environmental sensor to record temperature, humidity and atmospheric pressure, VEML7700 ambient light sensor to record the the ambient illumination, and DS1307 RTC module to record time. 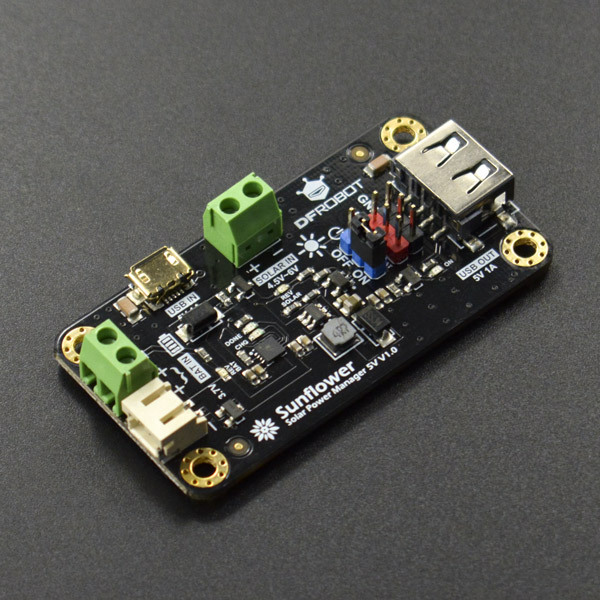 Use the analog input A1 to monitor the battery voltage (equivalently the battery capacity). 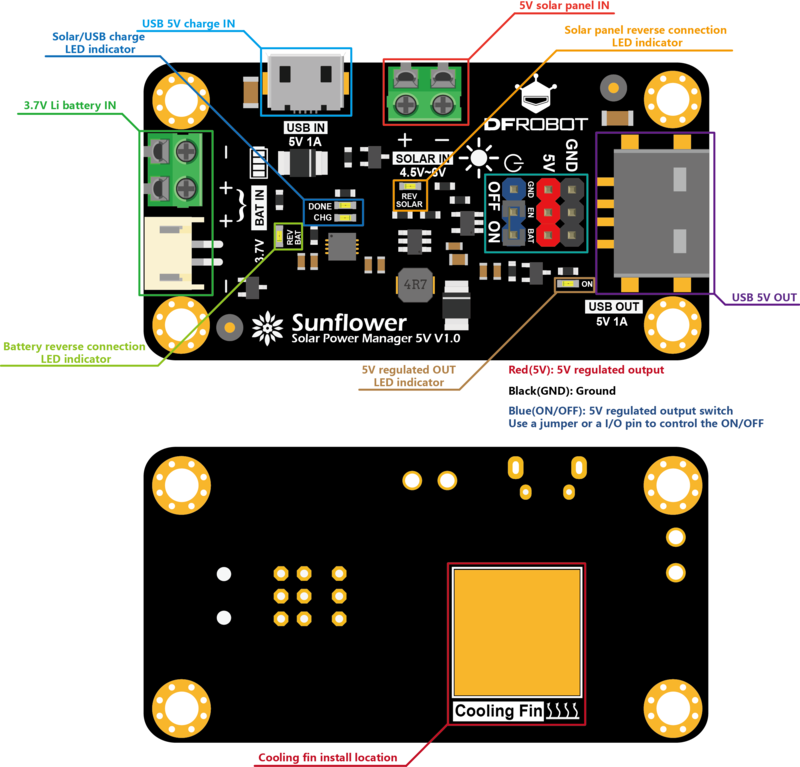 To achieve lower power consumption, use one Arduino digital IO pin to turn ON the power supply, read all the data from the sensors and turn them OFF. Cycle this pattern for a proper interval T to reduce the average power consumption. This can completely get rid of the quiescent power of the peripheral modules. 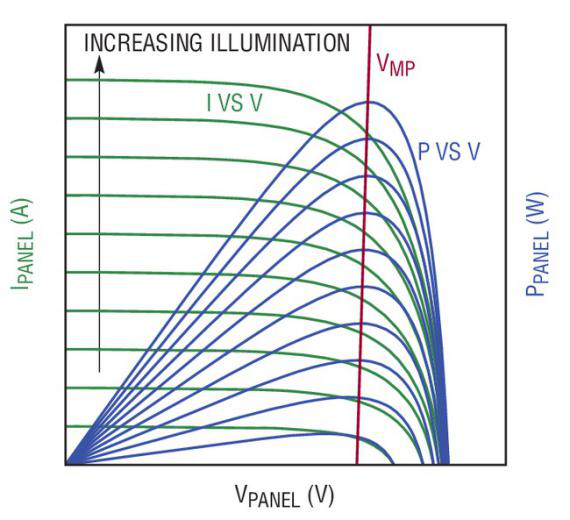 Although single peripheral may consume little power, it can be considerable large for a number of them. This module provides users with effective methods to drive the peripheral modules into discontinuous (pulse) mode to achieve low power operation. 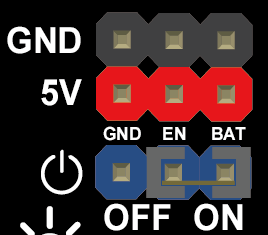 Q Can I connect two battery to each of the BAT IN connectors? A Yes. But pay attention that these two batteries are in direct parallel connection. It is required that these two batteries are of the same (or near) specifications. 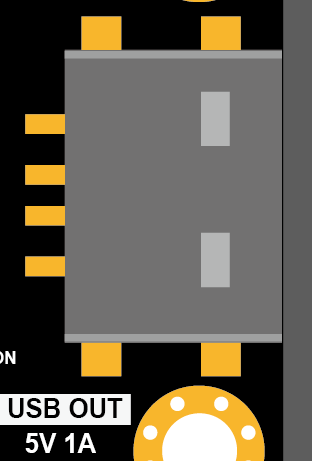 The two connectors are designed to be compatible with more battery interfaces. Usually, pick one to connect a single Li battery. Q Can I charge the battery while using the regulated output? 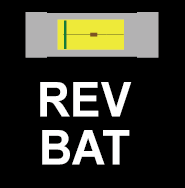 Q Is there any overdischarge protection on BAT IN ? What is the overdischarge cutoff voltage? A No, but the equivalent overdischarge cutoff voltage is 2V. We recommend users to use a lithium battery with a battery protection circuit. Although there is no battery overdischarge circuit on the module, but the internal DC-DC boost circuit input cut-off voltage is 2V, that is, when the battery voltage is lower than 2V, the boost circuit stops working. This equivalently avoids further discharging the battery. Usually, the 3.7V lithium battery overdischarge cutoff voltage is 2.7V or 3V (some of the IC manufacturers' lithium battery protection IC can be as low as 2.4V). However, 2V equivalent overdischarge cutoff voltage is too low for the general 3.7V lithium battery. The battery has already been in an overdischarged state when discharged itself to 2V, which causes some damage to the battery. 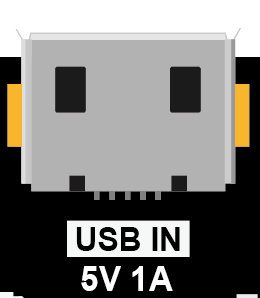 Therefore, users are advised to use a 3.7V lithium battery with a battery protection circuit. 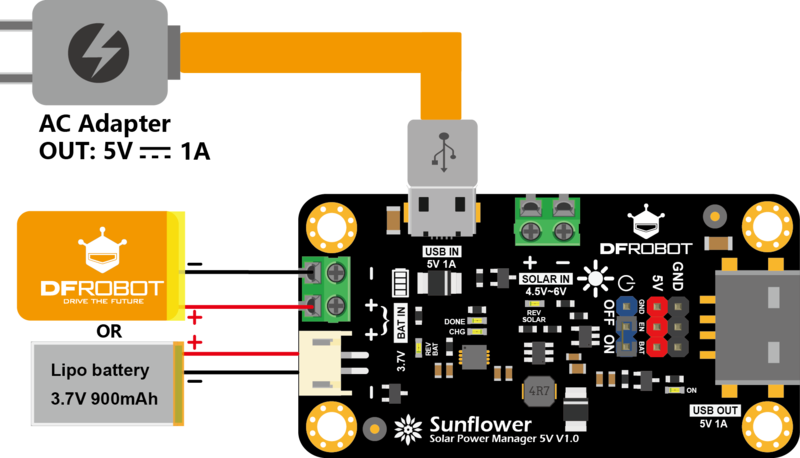 Get Sunflower: Solar Power Manager 5V from DFRobot Store or DFRobot Distributor.